Fireplace Refacing - Tim Carter, founder of AsktheBuilder.com, saves Brett's marriage! Brett is in a race to satisfy his wife because she's not happy at all with the 1960s stone fireplace in their living room. Here's Brett's email. I'm sure you understand why I'm not giving out his email address, DUH! Your Question: Help! My marriage depends on this. 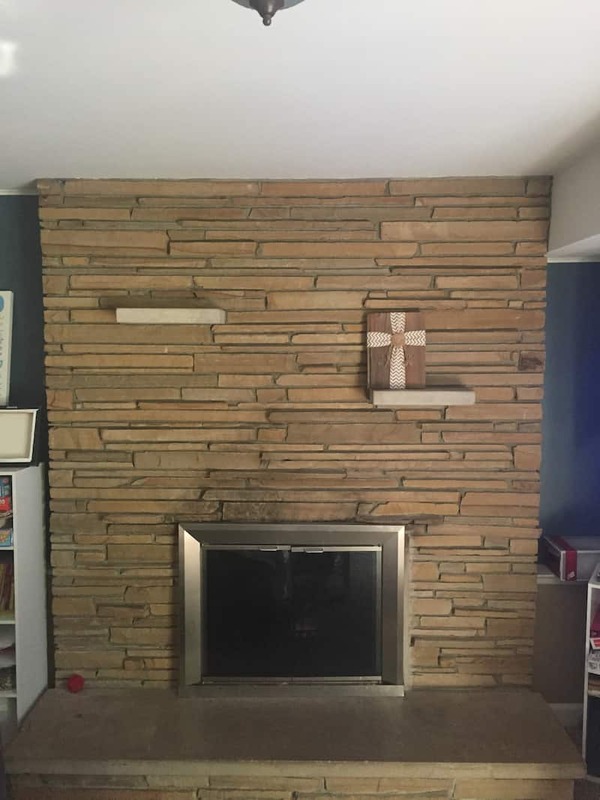 My wife is tired of looking at the old and outdated fireplace. She either wants it painted or framed out and replaced with wood/shiplap and a mantel added. I looked into painting it but the stone seems like it would be very porous and soak up a lot of paint. Also when I cleaned the stone some of the grout cam crumbling out which would not be good when painting. For the framing out, I am familiar with the codes for how close anything can be to the opening of the box. the fireplace has not been used for over 10 years and we have no plans to use it. This is our forever house, at least until I get kicked out for not getting this project started and finished. Sounds like somebody has been watching too much HGTV! I like the stone. I would just clean up the stone, put up a nice live-edge stained mantel, and remove the doors. I don't like painted brick or stone. Sorry, I am a traditionalist. Spruce up the stone and mantelize it.